It was only a couple months ago that KFC pulled a publicity stunt by announcing they had asked the Pope to bless their new fish sandwich. Now they're trying to create buzz again by offering American Idol contestant Sanjaya Malakar a free lifetime supply of (pretty disgusting) KFC Famous Bowls if he dons a bowl hairdo. And he will die two weeks later from heart disease. Well, this was easy to see the truth in. I wish they would stop lying and just try to fix the problem. I found an interesting website about restaurants I thought I could share - http://www.lacartes.com/ if you live in South East part of London you are gonna find this VERY useful. If you live in Manchester you can still find it A BIT useful. Its got over 1000 restaurants and takeaways infos complete with photos and menus and results can be compiled according to distance, price and cuisines... its easy to compare dishes and prices etc. He should have taken the offer, now its too late and he left with nothing. and you're gonna update this site exactly WHEN? 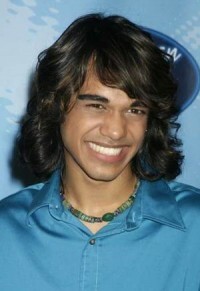 please take sanjaya off the front page and please start covering fast food "new"s again -- or just go away. ummm those kfc bowls are pretty good.